The estimate was provided to state lawmakers ahead of a hearing on a long-shot bill that would require all Texas prisons to be kept at temperatures between 65 and 85 degrees, as is required for local and county jails. Currently, 75 of the state’s 104 prisons and jails do not have air conditioning in most inmate housing areas where temperatures often rise above 100 degrees in the summer. (All units are equipped with heating for winter). In the fiscal note tied to the bill, filed by state Rep. Terry Canales, TDCJ estimated it would cost $1 billion to install air conditioning in all of its uncooled prisons, and another $140 million each year for utilities and maintenance. But Canales, D-Edinburg, and at least one lawmaker on the House Corrections Committee doubted those numbers since the agency’s estimated air conditioning cost for one prison was slashed by more than 80 percent during a lengthy lawsuit that was settled last year. Last year, TDCJ requested an extra $2 million from the current state budget to install air conditioning in the Hodge Unit, which houses inmates with developmental disabilities. Based on the TDCJ estimate posted Wednesday ahead of the hearing, it would cost on average more than $13.3 million per unit to install air conditioning. Committee member state Rep. Phil Stephenson, R-Wharton, said he had a problem with the accuracy of the department’s cost estimate, also calling it “ridiculous” and saying an independent entity should come up with a cost. 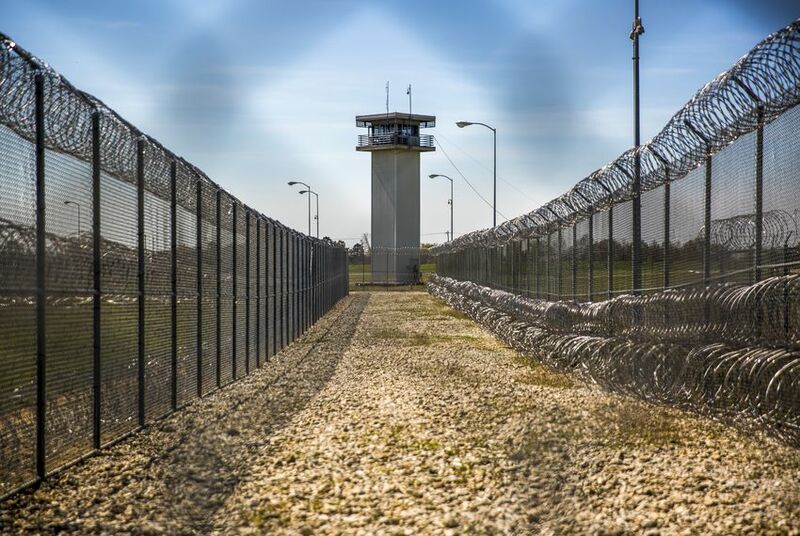 State Rep. James White, a Hillister Republican who chairs the committee, said in a recent op-ed that the state should cool its prisons, though he repeatedly stated at the hearing that cooling doesn’t necessarily mean installing air conditioning. Collier said to comply with temperatures below 85 degrees, air conditioning was the mechanism they used in their estimate. But in February, the department and the inmates announced a settlement, with the prison department agreeing to permanently install air conditioning at the Pack Unit and move vulnerable inmates throughout the state into prisons that already have air conditioning. Before the settlement, TDCJ had recalculated the estimate to cool the prison and came up with an $11 million figure. In August, Collier told lawmakers at a legislative hearing that that estimate had dropped again to $4 million after the state comptroller's office said some construction upgrades weren't necessary. People who have been incarcerated or who work in Texas prisons came to the Capitol to testify in support of the bill. Jose Flores, who served 13 years in prison and now works as a policy analyst for an advocacy group, the Texas Criminal Justice Coalition, said the heat during his time in prison was dangerous, and that he would pour water onto the floor to be able to sleep. “Me and my cellmate would take turns sleeping on the floor… in a puddle of water, and by the time that we woke up in the morning, we’d be completely dry,” he told the committee. "If the heat is high enough, you will pass out and you could die possibly." It's not just the inmates who say they face danger from the heat. Correctional officer Cheri Siegelin, president of the Huntsville chapter of the prison guard union, said the sound from the fans attempting to counter the heat make it hard for officers to hear cries for help, their radios or intercoms. The issue adds to the department's chronic problem of understaffing. “When we talk about staffing levels, you really have to look at why we don’t have staff, and this is probably the biggest reason,” she said. Despite the lawmakers' concerns with the estimate and support from advocates and guards for change, HB 936 and a matching Senate bill filed by state Sen. José Menéndez, D-San Antonio, face an uphill battle moving through a Legislature that has not budgeted for a large air conditioning bill from the prison system. A related proposal currently included in the House budget would require the department to report temperatures inside inmate housing areas on hot days to the Legislature.